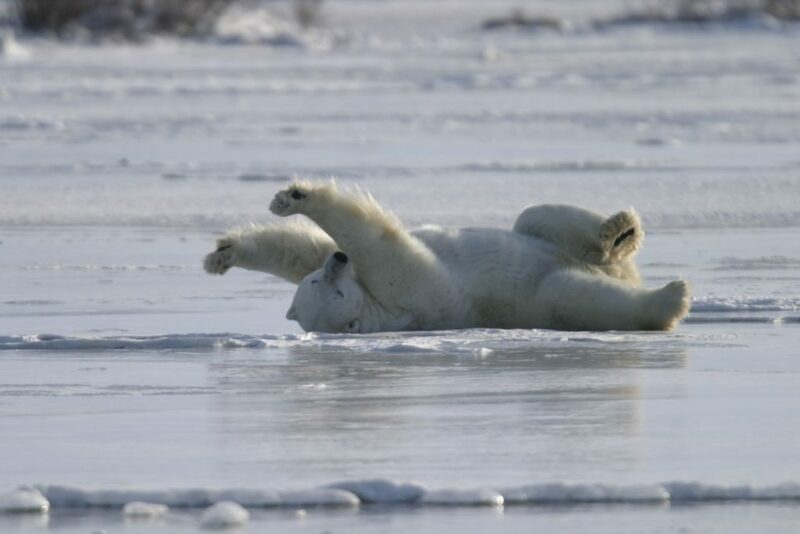 Ultimate Polar Bear Adventure – The Great Canadian Travel Co. Prepare to be wowed! You will spend two full days on the Tundra tracking along the coastline and in our touring-permit zone of the Wildlife Management Area. Each day you’ll explore the amazing Hudson Bay coastline observing the majestic Polar Bear up close and personal. Along the way, look for Arctic Fox, Arctic Hare, Camouflaged Ptarmigan and other wildlife. 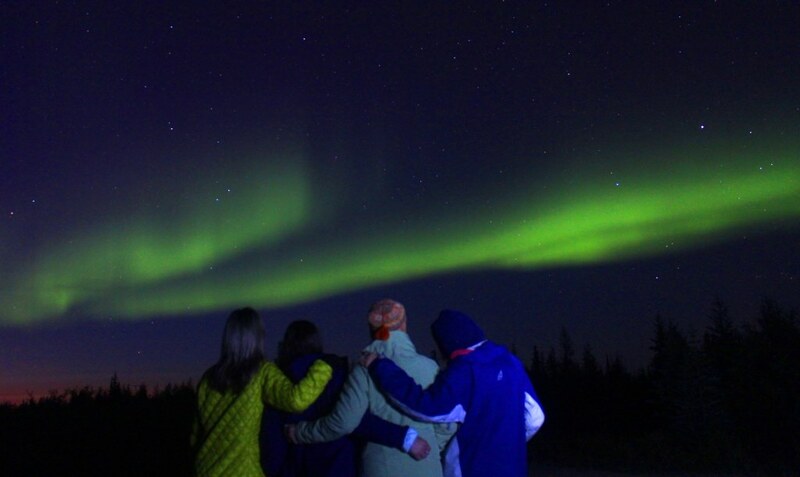 You’ll also have a Dog Mushing Experience (evening) and a Culture and Heritage Tour of historic Churchill, Manitoba. Taxes: Churchill accommodation tax; 8% PST; 5% GST. Applicable taxes will be calculated at the time of your reservation or quotation. Prices are shown in CA$, per person, based on two people sharing a twin room or one person in a single room. Arrive in Winnipeg and have the day to explore the city. 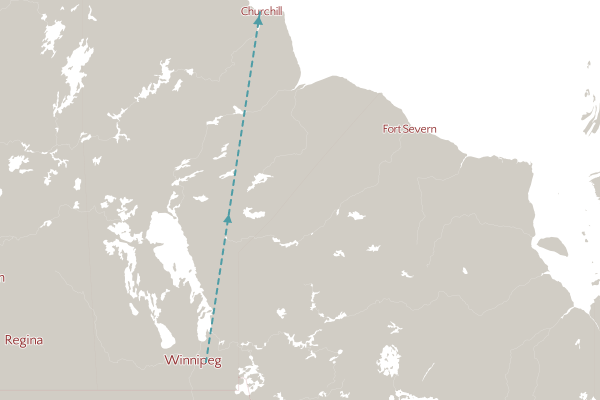 This morning, you will be transferred to the airport for your departure to Churchill. Upon arrival, you will be met by your guide and be transferred to your accommodation. Today, you will embark on your arctic adventure as you board the Arctic Crawler and explore the Wildlife Management Area in search for polar bears, arctic foxes, arctic hare and many other animals that call this area home. 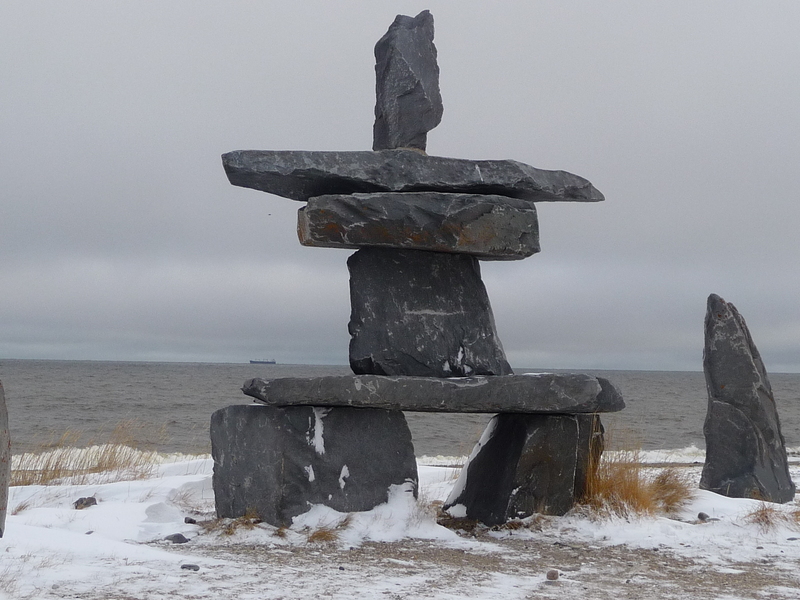 This morning you will be escorted on a guided cultural and heritage tour of the town of Churchill. You will visit the Inuit Museum, the Parks Canada Visitor Centre, Miss Piggy, and many of the town’s beautiful artwork on the buildings. In the evening, you will experience dog mushing. This approximate 1-2 mile dog mushing ride will be on sleds if there is snow and on wheels if there is none. You will learn how the dogs are trained, plus hear many entertaining stories while tasting fresh bannock and local berry jam. This morning you will enjoy a Parks Canada Indigenous Interpretive Presentation before you head back out onto the tundra. You will be transferred to the airport for your departure back to Winnipeg. Shuttle service is included to take you to your Winnipeg hotel for the night. Age restriction: This expedition is limited to children aged 8 and up. Long underwear, snug but comfortable fitting outerwear and a fleece jacket or sweater. Outer clothing should consist of a windproof material with an attached hood and a warm hat. Ski or wind pant to help keep your torso and lower body warm. A jacket alone will not do this. Gloves with ample insulation and preferable an upper extension to cover your wrists (like ski gloves). Warm boots with thick insulation and good grip, like Sorel and Kamik, are a must! Spare batteries for each camera type you bring. Charging cords for laptops, cell phones and tables – a portable charger pack is also a great thing to have.